Wat Phra Kaew or Wat Phra Si Rattana Satsadaram ( Temple of the Emerald Buddha) is regarded as the most sacred Buddhist temple (wat) in Thailand. It is a potent religio-political symbol and the palladium (protective image) of Thai society. 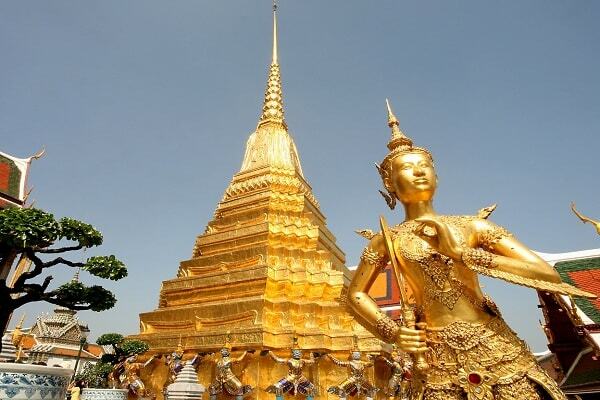 It is located in Phra Nakhon District, the historic centre of Bangkok, within the precincts of the Grand Palace.